"You Will Never Be Able to Unsee This Guy's INSANE Bathing Suit"
Reality Show Idea: Sweat Lodge. 20 people, one house, summer time in New Orleans, no pool, no fans, no cold water from any faucet – and one window air conditioner up for grabs. #Selfie is a 2014 Romanian teen film, not to be confused with "#SELFIE" the 2014 song, Selfie the 2014 sitcom, Selfie the 2014 book, or Selfie: The Video Game, one of three selfie-inspired creations at Global Game Jam 2014. 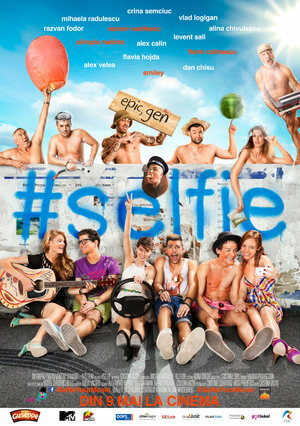 IMDb lists seven films titled Selfie, six of which are dated (2014), and two others of which are stylized #Selfie. Idea: The Selfies of Dorian Gray. Dorian Gray grows aged and corrupt in selfies while continuing to appear fresh and innocent in person.